Condo for sale - Prices start from 17.5 million Thai Baht. 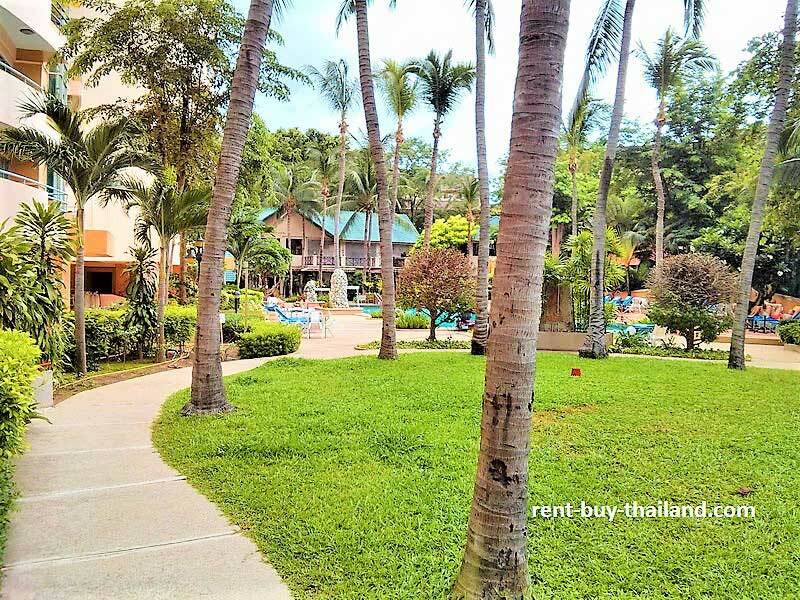 Condo for rent Pattaya - from 69,500 Thai Baht per month. Available for long-term rentals or to purchase - as Pattaya property agents with a large portfolio of Pattaya condominiums. Chateau Dale is a fantastically well-maintained resort consisting of two buildings. It is in a great location, positioned centrally in South Pattaya, between Central Pattaya and Jomtien. Pattaya City, beach and Walking Street are only 10 minutes away, and Jomtien Beach is 1000 meters away. Residents here can relax and enjoy the wonderful lush gardens, relaxing on benches or lounging on sunbeds by the large swimming pool; there is also great fitness center for residents use. The complex also benefits from a secure environment, with CCTV and 24-hour security. There are a number of high-quality restaurants nearby where you can enjoy a range of international and local cuisines. There are also shops, cafes and bars in close proximity to the complex, as well as convenience stores, a pharmacies, a beauty salons, massage parlors. Being on the main Baht Bus route of Thapphraya Road it is easy to catch a Baht Bus (for just 10 baht per journey) from here either into Central Pattaya or to Jomtien. In Central Pattaya you can find an multitude of shops, restaurants and bars, a diverse night life, a large range of tourist attractions to keep you entertained, and 4 km of beach offering various water sports and trips to the nearby scenic island of Ko Larn. The opposite direction leads to the quieter area of Jomtien where you can also enjoy restaurants, shops, bars and water sports on the 6 km uninterrupted stretch of sandy beach.